In regards to the rumor of Rousey wanting to take time off after WrestleMania, I'm told that was always a plan from Rousey, but very tentatively, and for all of the reasons speculated. However, as of early last week she'd not informed WWE of this. 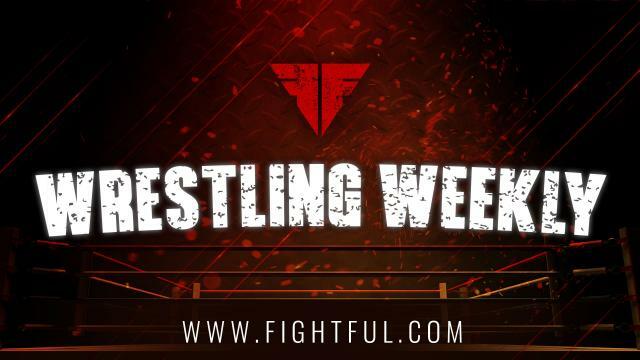 Fightful Alumni Shane Helms gave us some time to wrap up and talk about his insane 2018. We covered it from beginning to end. It started with last year's Royal Rumble. Helms claims that his response to Enzo Amore's firing (#IKnowAGuy) entered his name into the stream of WWE's consciousness and made the Rumble appearance happen. Helms was considered multiple times in the past, but was never able to due to other obligations. Shane was hidden until right before the match, and said the reaction from the wrestlers backstage was almost as special to him as the pop he got from the crowd that night. Hurricane was asked who he preferred to work with in the match and naturally said the biggest star in the match -- John Cena. Cena didn't want to be the one to eliminate Helms because he knew what kind of reactions would be involved in eliminating the returning star. Cena was pretty easily convinced about half-hour before the match and everything ended up going fine. There was a photo that emerged from backstage at the Royal Rumble that got a lot of attention that saw Helms and Roman Reigns' sharing a moment. As touching as the picture seemed, Helms said it was just the magic of photography, as he'd actually seen Roman Reigns at a live event since his former partner and Reigns' brother Rosey had passed. Helms didn't want to lay it on Reigns too heavy before he was about to head out to the ring to put himself on the line. Helms said that his relationship with WWE was never bad and he didn't leave with any type of heat, even though the opportunity to work with them came later than usual. Matt Hardy specifically asked Helms to appear on House Hardy Halloween, but Shane also spoke of the emotions involved in participating in the WWE network special on the Hardys because he experienced a lot of the ups and downs with them. In addition to Network projects, Helms was brought in for two different stints as a WWE Performance Center guest coach, with the latest lasting two weeks. He said that he primarily worked with Matt Bloom at the PC, and his positive reputation as an agent while working for TNA filtered over and helped him land the spots. The Rascalz have emerged on the IMPACT Wrestling scene, and Fightful's Andrew Thompson spoke to Dezmond Xavier recently about the team. Dezmond told Fightful that he and Zachary Wentz had an immediate connection upon meeting that kicked off almost a sibling rivalry that developed into a team, which we now see on IMPACT. Xavier was asked about the potential of heading over to New Japan to do some work, and Xavier was quick to admit that no communication has been made between the two sides, but if they were to call he'd be open to it. As far as goals in Impact Wrestling, Xavier pointed to the X-Division championship and the tag team championships as a physical goal, as well as eventually becoming a triple crown champion for the promotion. Outside of WWE, he said that he'd like to compete at both the Tokyo Dome and Madison Square Garden. Fightful spoke to Jack Swagger ahead of his MMA debut this weekend at Bellator. It's pretty clear he's banking on making a career outside of WWE, as he's hoping to fight three times this year, and didn't exactly mince words when it came to not following WWE. He particularly and hilariously took aim at the Crown Jewel tag team match between Shawn Michaels and Triple H vs. Undertaker and Kane. He gave the match a resounding fart noise when reviewing it. He was much more impressed by Becky Lynch's recent ascension in wrestling, and said that Ronda Rousey's successful move didn't really surprise him much as people with a good background in shooting generally take to it well. UFC Champ Colby Covington says his MMA is nowhere near over at this point, but has already talked about a pro wrestling future. He told us that he's not opposed to working spots and matches on the independent circuit, and says he could be in WWE "in a couple years." However, he called out Becky Lynch for suggesting Conor McGregor as a tag team partner, and threw out the challenge for a tag team match between he & Ronda Rousey taking those two on. He did admit that Lynch was a good thing for wrestling, however. To expand on the Mike and Maria Kanellis situation, everything reported by Pro Wrestling Sheet has been confirmed with my sources as well, the same with Mike Killam of Pro Wrestling.com. After Maria took to Twitter to say that she (note: NOT Mike Kanellis) didn't ask for her release, I had one wrestler contact me in particular frustrated about the situation. It wasn't much of a secret backstage, but locker room code sort of prevented it from getting out before it did, but Mike Kanellis told several WWE wrestlers that he'd asked for his release and had even joked "I guess I'm still around for a few weeks," after a lengthy meeting with Triple H. Mike had missed TV recently, but we're told it was planned as he'd asked for the day off. Both were off the road this week. Not a big surprise, but I was told "the chains were off" in regards to in ring work for Rey Mysterio of late, and Vince McMahon specifically has encouraged more creative freedom of late after having it pushed on him by any number of people for years. Andrade and Rey have no real limitations on their matches.